During the searching on FaceBook, all search history get stored in the Activity Log window. You can easily view or erase your searched history from this window, if you required. 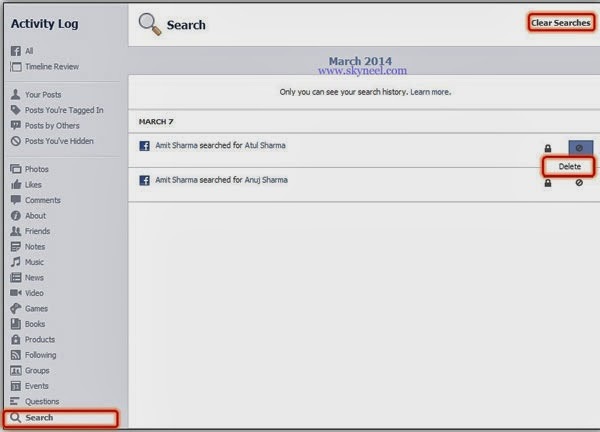 Can you view all of your Facebook search history and all other recent activities from FB Graph search facility? Everything you are doing on the FaceBook are stored in the FaceBook history sheet. You just read this article carefully, how can I delete the history from activity log? 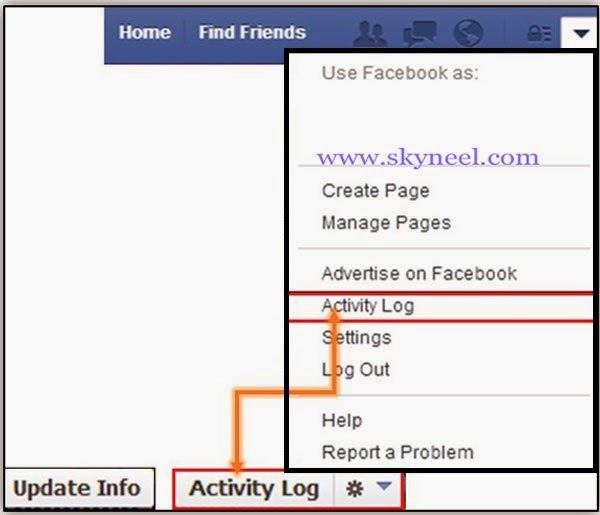 View your profile timeline in FaceBook and at the upper right corner you will see Activity log that is just next to Update info >>> Click on “Activity Log” button. If you turn ON “Include Only Me activity” option, you feel that all of your searched history and other log activities that are tagging with locked icons will surface within your other activities. By default your log, including your search are hidden if you don’t activate this option. “Include Only Me”. Click “More” option to open extra filters options in activity log window. Now to delete these history of your activity, you can go to the downward through this list and remove peoples, distinct content, and also delete your previous posts. 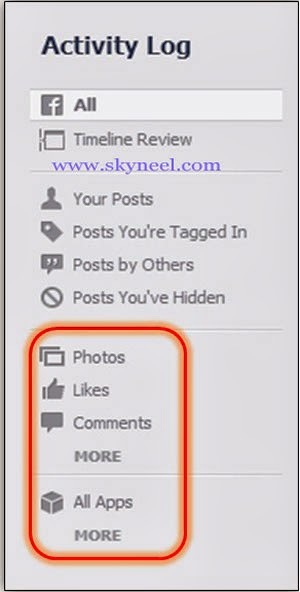 In the upper left-hand column under Activities Log window, you just click on “More” option under where it says “Photos,” “Likes,” and “Comments” to increase and open other additional filtering options. At the upper right corner of the page where your all searched terms are displayed, you’ll get an option marked “Clear Searches.” Click again on this option. In that case, if you not found it already, the option can be found just top in the month and the year. To Confirm Clear Search you have to click on clear searches button on FaceBook activity box. When you click on “Clear Searches,” FaceBook will shows a confirmation box, which ask you that do you really want to remove history from your search. You can click confirm button by clicking on the “clear-searches” button, but before you click and remove your searched history, you might want to hear FaceBook out – while the decision is finally up to you. The social networking site don’t have any better reason to ask two times, and then it has to do with Graph Search. FaceBook’s Graph Search results are really hard to your history of previous searches, and this is the main task for every search you made on the FaceBook is getting a new idea about your search behaviors.